When my sister was getting ready to adopt, she requested a baby shower cake with characters from Winnie the Pooh. Pooh and friends are often having picnics so I decided that a picnic with the characters holding baby items would be perfect. At least a week before baking the cake, make Winnie the Pooh, Tigger, Eeyore and Piglet out of fondant. Make a honey pot and baby items, such as a bottle, pacifier, blocks or balls. Make any decorative flowers out of fondant or royal icing. 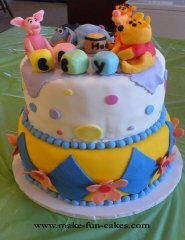 To make Pooh’s honeypot, tint a small amount of fondant light brown and a pinch of fondant yellow. 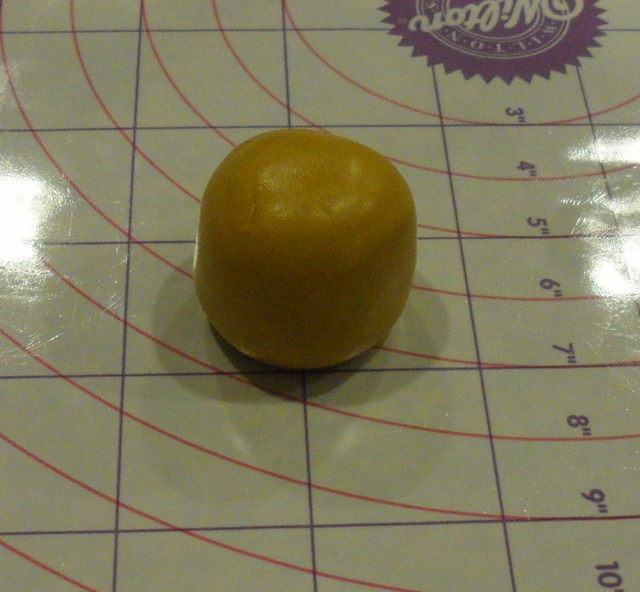 First roll a small ball of brown fondant and shape it into a honey pot. The bottom and top should be flat and the middle circular. Next roll out the yellow fondant. Cut a circle out of fondant using a small round cookie cutter. Place the circle on top of the honey pot. 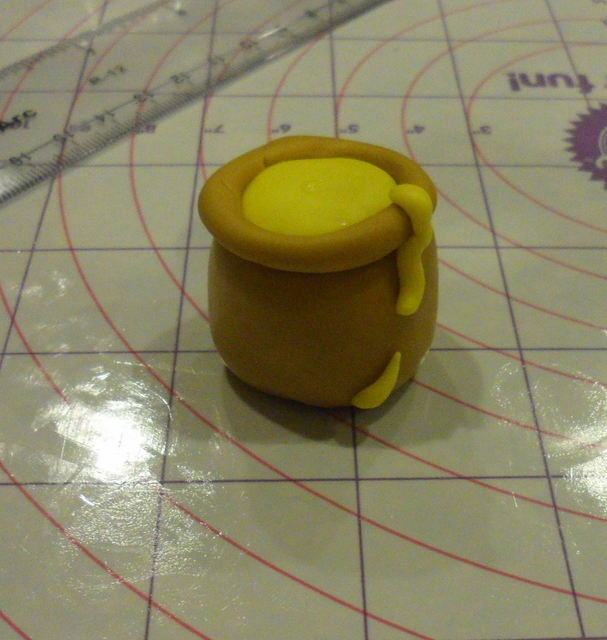 Roll a snake shape of brown fondant for the rim of the honey pot. 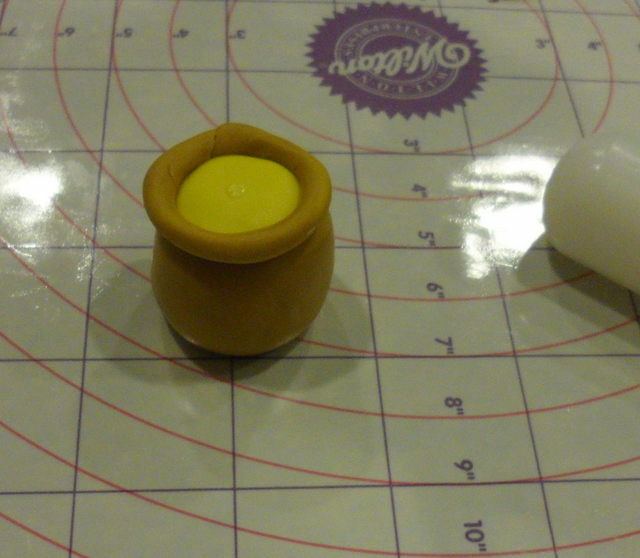 Place the rim on top of the honey pot, covering up the edges of the yellow circle. 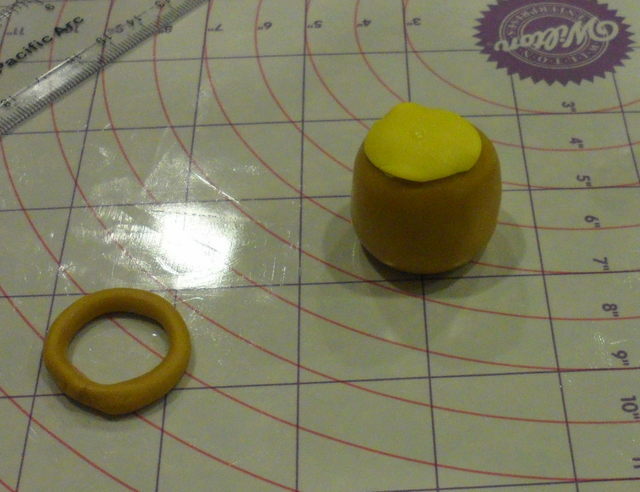 For the final touch, make several tear drop shapes of yellow fondant and attach to the honey pot on the rim and down the side to look like honey dripping out of the honey pot. Using an edible marker, write “huny” on the pot. Prepare the cake board. I used a rectangular cake board, which was perfect for my half sheet cake. I didn’t use a cake drum, but still wanted the board to be very sturdy to support the heavy cake. 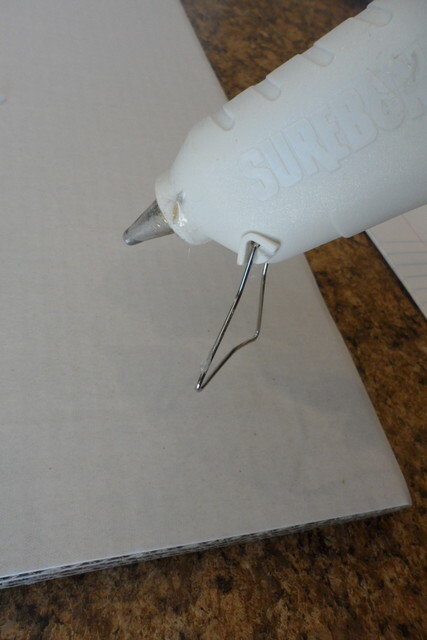 Use a hot glue gun to glue several cake boards together. 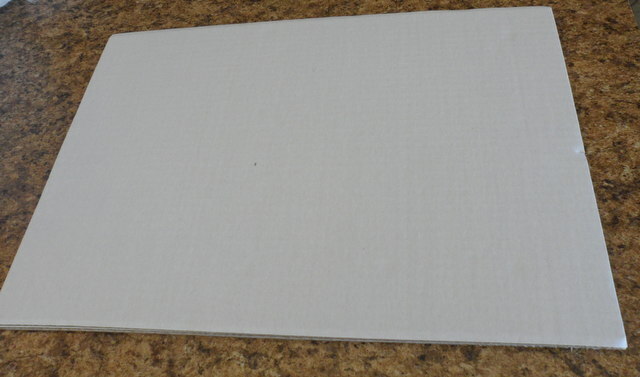 Cover the glued cake boards with FanciFoil. Glue the Winnie the Pooh ribbon around the base of the cake board. Arrange the cake in the center of the cake board. Fill and frost the cake. 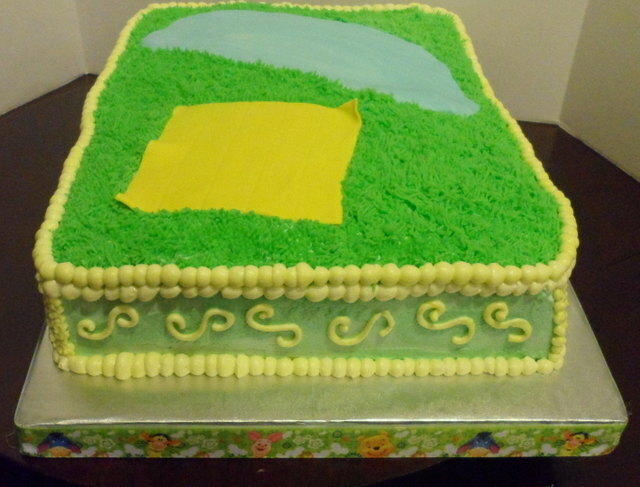 The top of the cake should only be lightly frosted since it will be covered with “grass” and the fondant cake toppers. 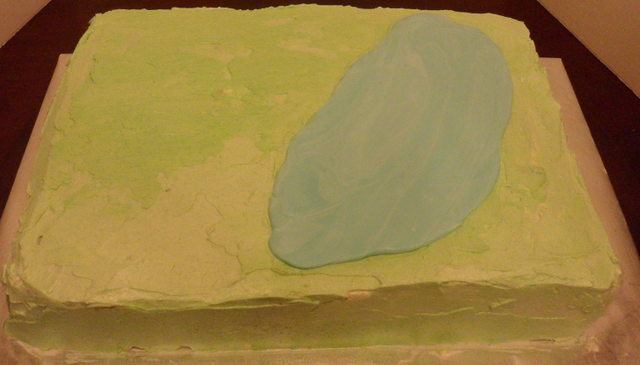 Cut the creek out of blue fondant and place it on the cake top. Cut out a rectangle of fondant for the quilt. 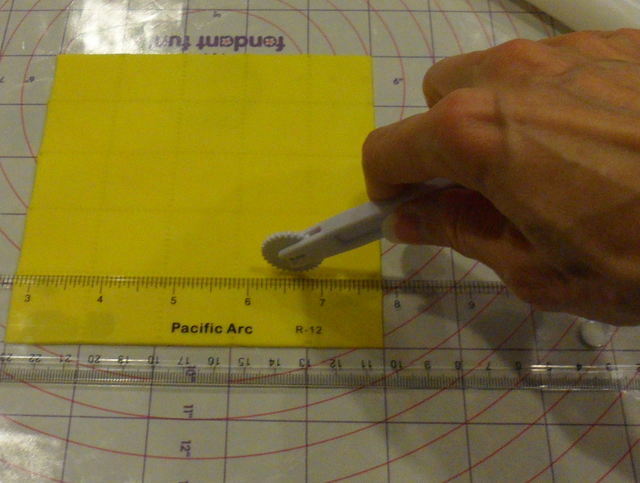 Use the quilting tool to make the quilting marks. Place the quilt on top of the cake. 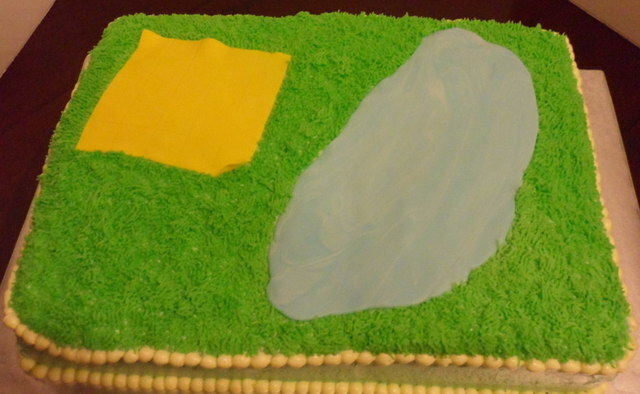 Use tip #233 to pipe grass on the top of the cake, surrounding the fondant. Use round tip #6 to pipe a scroll design on each side of the cake. Use round tip #12 to pipe a round border on the top and bottom of the cake. 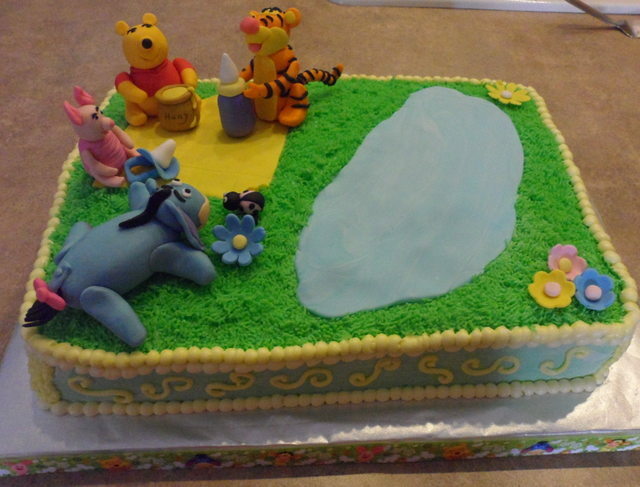 Next, arrange the Winnie the Pooh fondant characters around the picnic blanket. Finally, add the final fondant baby item pieces and flowers. Its really wonderful to make your own baby shower cake topper. You can customize it to be exactly what you want for your cake. 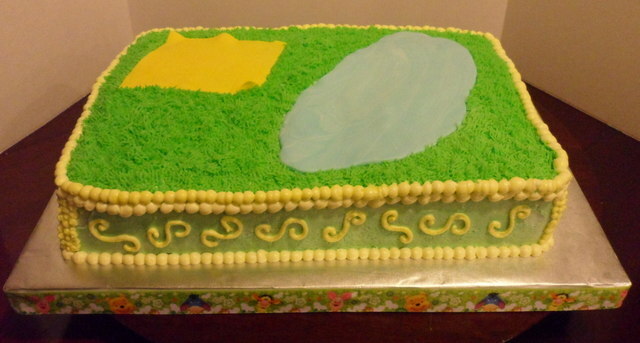 Looking for a different Winnie the Pooh cake? Here are some more suggestions for you. Not the baby shower cake you were looking for? 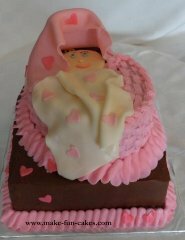 Check out our other baby shower cakes.